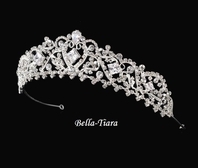 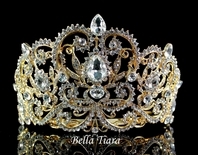 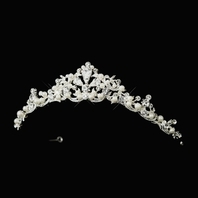 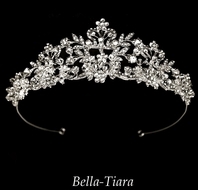 HOME / WEDDING HEADPIECES / Wedding Tiara / Snowwhite - Beautiful princess crown wedding tiara - SALE!! 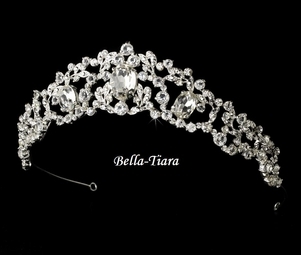 Description: Elegant and magnificently stunning, this gorgeous Silver Plated Bridal Princess Tiara features glistening components of rhinestones in various shapes and sizes. 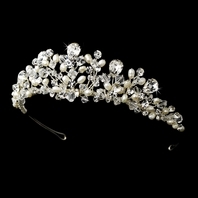 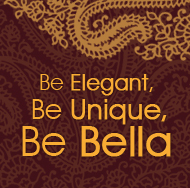 This is a gorgeous accessory for the modern bride, seeking a high fashion couture look.